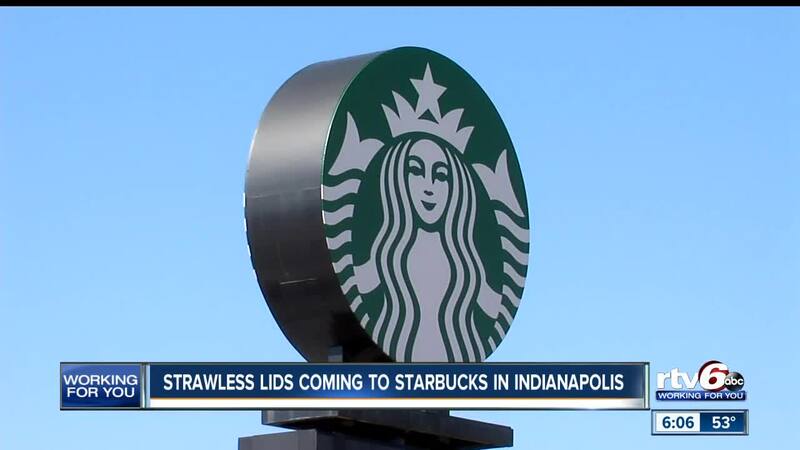 INDIANAPOLIS — Indianapolis will be one of six cities to start seeing strawless lids starting this summer at Starbucks locations. Los Angeles, San Francisco, Seattle, Washington D.C., Indianapolis and Toronto locations were selected to start receiving the strawless lids this summer, according to a press release . Starbucks has not said which Indianapolis locations the strawless lids will be rolled out to. These lids have 9 percent less plastic than the current lids and straws, according to the press release. All Starbucks stores in the U.S. and Canada will have strawless lids starting next year, according to the press release.